Welcome to Extinct Attractions. My name is Cole, and I’ll be your guide through the great wilderness that is the wild, wild, wild west. 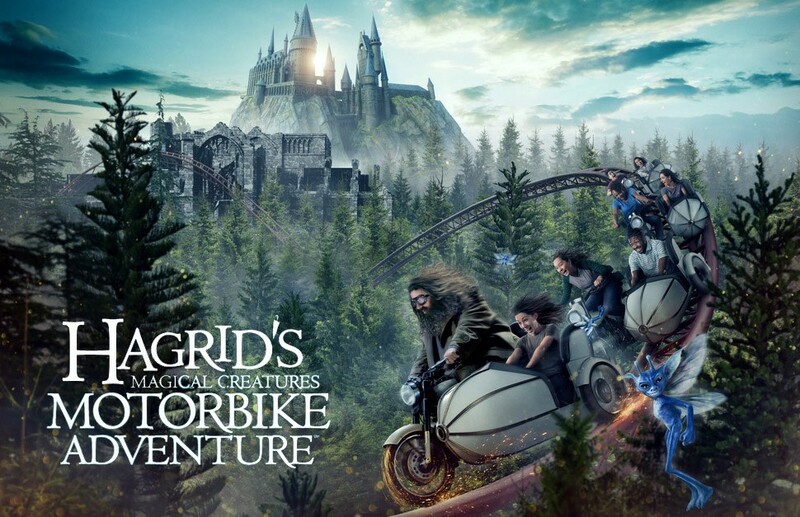 Lately, the biggest news from the Universal camp has been the announcement of Hagrid’s Magical Creatures Motorbike Adventure. 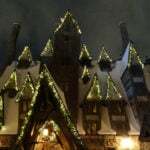 This attraction is the first major addition to the Hogsmeade portion of the Wizarding World of Harry Potter since it opened in 2010, so there is a lot of anticipation for the attraction and what it will entail. Personally, I’m most excited about the fact that they said the attraction will feature almost exclusively animatronics, which is really exciting considering that Universal loves to use screens instead of practical effects whenever they can. 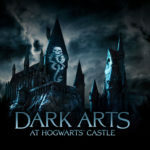 Now, I love Harry Potter, and it is always fun to visit the areas in both Florida and Hollywood. But their presence shows how much the parks have changed over the years, with attractions being closed all the time to make way for new ones like Harry Potter. While the Wizarding World never led to the direct closure of any version of today’s featured show, there is a Harry Potter representative directly adjacent to each of the replacements to the Wild, Wild, Wild West Stunt Show. So let’s take the jump back to a time where shootouts were the best way to remedy a situation. 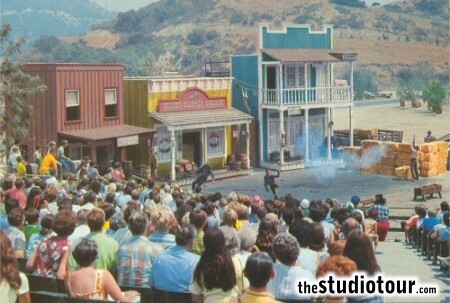 The Wild, Wild, Wild West Stunt Show first opened at Universal Studios Hollywood in 1964 as simply Stunt Show. 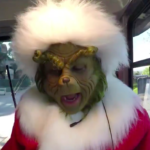 At the time, the park was still transitioning from a studio tour to a theme park and was looking for a way to entertain guests and keep them around after their tour had ended. The Stunt Show was one of the first attractions that the park offered that guests could experience as a standalone experience, and compared to other things, like petting zoos, that Universal had as extra experiences, it was a very marked step up. In 1990, the show changed its name to the Universal Studio Riot Act Stunt Show, but just a few years later, it was switched again because of the riots that were occurring in Los Angeles. 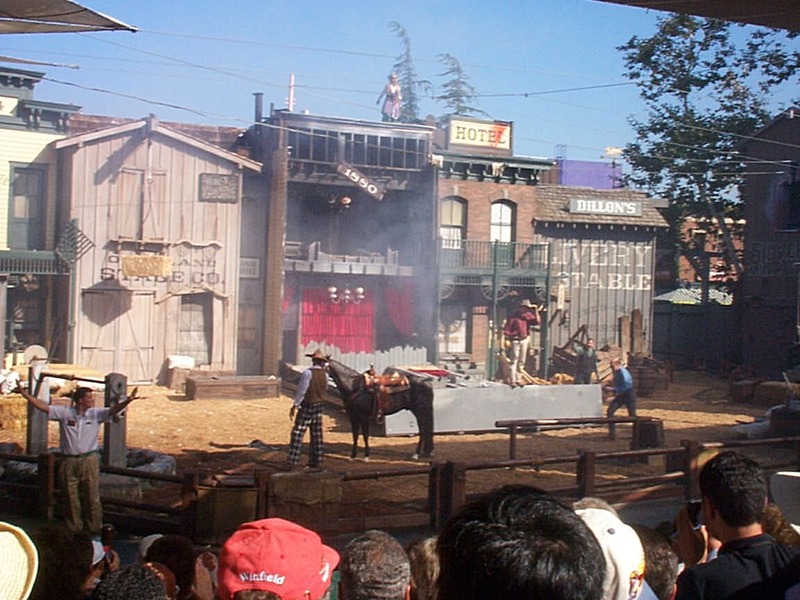 At this point, it became the Wild, Wild, Wild West Stunt Show in Hollywood as well as the other parks where it was beginning to pop up. The show had enough success over its years in Hollywood that a nearly duplicate show was created for Universal Studios Florida, which opened on July 4, 1991. 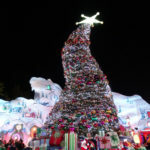 Luckily, a lot of the kinks in the show had been worked out over its years in California because Universal Studios Florida really needed an attraction that could work without issue, considering the problems that so many of its other attractions were having. In terms of the actual show itself, there was a whole lot to love. I may be a bit biased, though, because this show was always my favorite thing to do when I visited Universal as a kiddo. Most of my memories of the show are scattered since it closed when I was five, but I recall a feeling of just general happiness while sitting and watching the show with my family. One really interesting aspect of the show is that it begins as a film set where a stunt coordinator comes out and introduces a member of his stunt team, with the rest expected sometime soon. But then a group of “real” cowboys and cowgirls arrives to cause mayhem. The rest of the show is a series of hijinks and stunts including an awesome 30-foot high fall at the end. Watching the show again for this article, I was not quite as enamored as I was a child, but I still thought it was a ton of fun to watch. Sure, some of the dialogue was a little rough, but the real fun of the show was the stunts. While a lot of them weren’t super elaborate, especially compared to the show’s neighbor Waterworld, there were some awesome stunts like the entire facade of the building falling down as you can see above. It was well worth checking out while you were at the parks, particularly for those who love action movies or westerns. But over time, westerns have fallen out of fashion, so this show was on its last legs come the turn of the century. 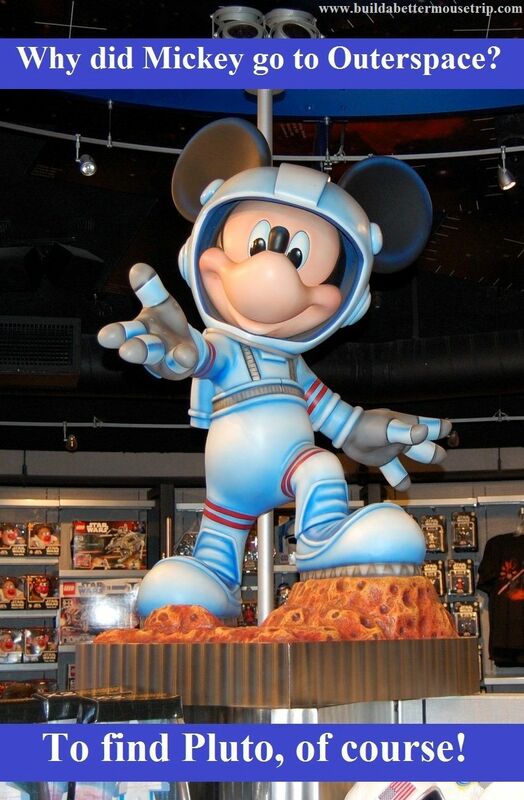 Eventually, the attractions began to close in quick succession, starting with the version in Hollywood. Its closure in Hollywood crushed me because though the show closed in 2002, the stage remained until 2012, when it was finally demolished to create the Universal Plaza. Those ten years of seeing an empty stage were so disheartening because all I wanted was to see my beloved show return. I will say, the Universal Plaza is a nice area, but it does not serve much of a purpose, as it is basically just an open area next to Hogsmeade. In Florida, the Stunt Show closed on September 1, 2003 and was replaced by Fear Factor Live, which is somehow still in the park to this day. Again, the stage is now located right near Harry Potter attractions, but in this case, it’s Diagon Alley. Over in Japan, the show managed to stick around until 2006, when it was closed to make way for the Land of Oz. Though the Land of Oz no longer exists, being replaced by Universal Wonderland, the area is located right next to Hogsmeade, creating an odd coincidence since all of these parks are laid out so differently. The Wild, Wild, Wild Stunt Show did inspire a very similar show at PortAventura in Barcelona, Spain. Universal used to own this park and brought over the idea for the show. 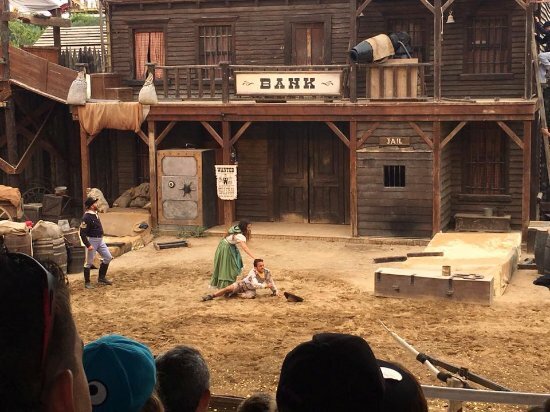 Though Universal no longer owns the park, the show is still around today, so if you are ever looking for your western stunt show fix, you can always take a quick trip over to Spain. Well, that’s all for today, but here’s your clues to next week’s attraction. This attraction is closing in its original park next week. 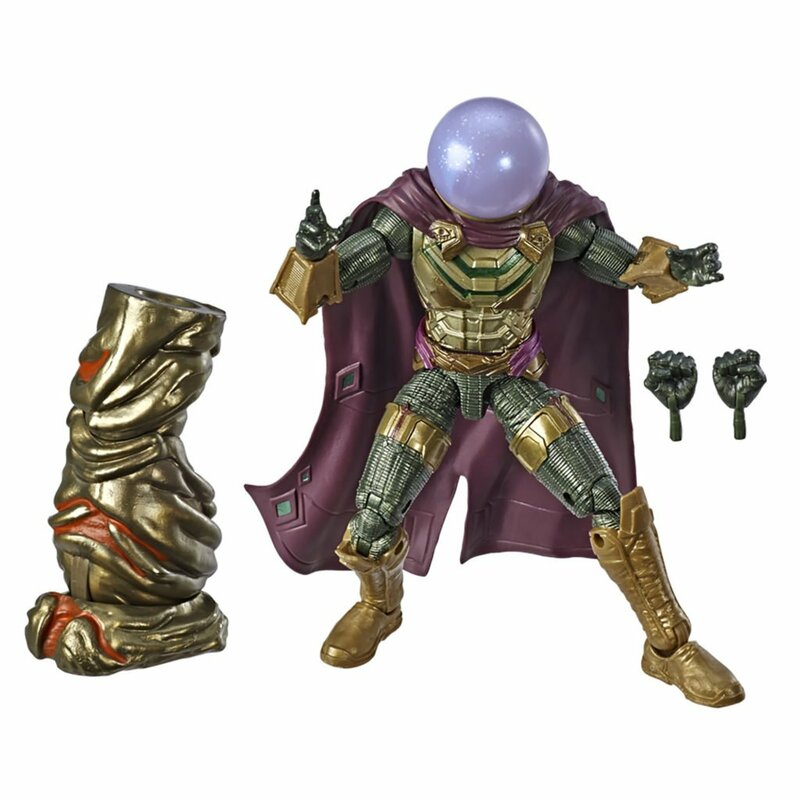 This attraction already closed in one park for Galaxy’s Edge.